Mi Shoes has existed for ten and a half years. 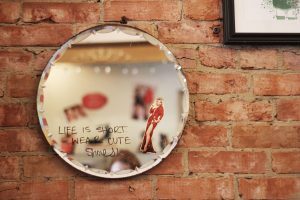 With a narrow space, high ceilings, a brick wall, vintage furniture, and fashion magazine clippings, the store emulates a very homely feel and a European essence. 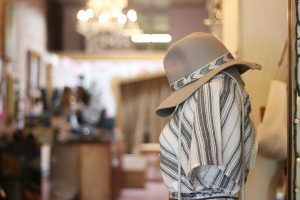 Michelle Bouma, owner of Mi Shoes and Heroine Clothing, originally created this store because of the need for a women’s shoe store in downtown. 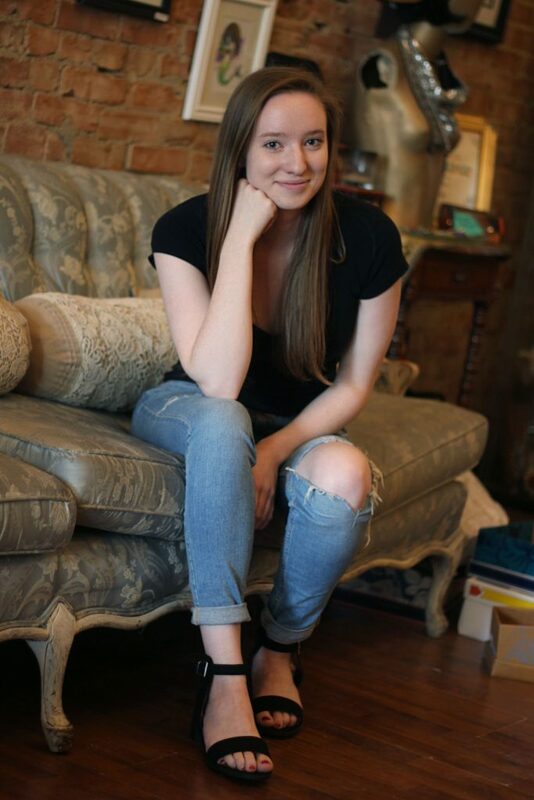 Women and girls, of all ages, shop at Mi Shoes. 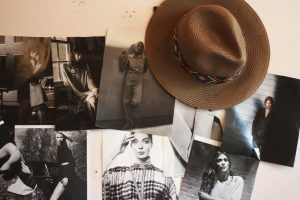 Each season, or when an event takes place, Bouma drives down to Los Angeles to grab new shoes and accessories from vendors of wholesale showrooms. 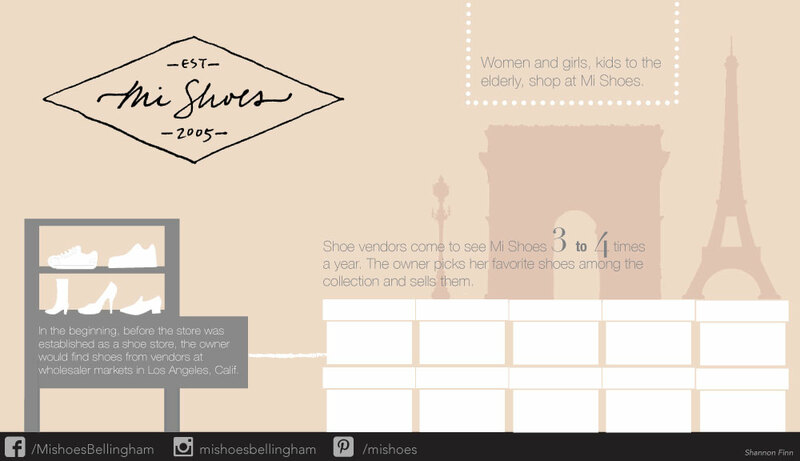 Mostly, however, shoe vendors come to Mi Shoes to present their collections. Bouma, then picks and buys what she wants from their collection to sell in her store. 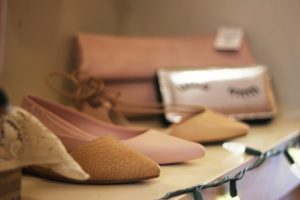 With the clothing store, Sojourn, next door, when a customer is looking to create an outfit, the woman can go to Sojourn for the clothes and right to Mi Shoes for the shoes. Sojourn and Mi Shoes help each other out by sending people back and forth to complete an outfit. To find Mi Shoes, drive South on Railroad Ave. and it’s in the block past E. Magnolia St. on the right. It’s a little nook of a shop, wedged between Avenue Bread & Deli and Sojourn. 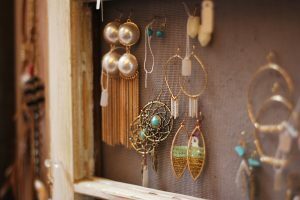 When Mi Shoes was starting up, Michelle Bouma, the owner, would drive down to Los Angeles to look for shoes and accessories from vendors at wholesale markets. 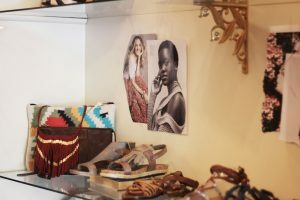 She still travels down for accessories, but now that the store is more established, shoe vendors come to her store with their collections. Bouma picks out her favorites from the collections and sells them in the store. Her target clientele includes women of all ages – from little girls to the elderly. Mi Shoes opened in October of 2005. To this date, it's the only woman's shoe store in downtown Bellingham. Hannah Flotin models Mi Shoes' shoes at Mi Shoes on Railroad Ave.
Hannah Flotin models Mi Shoes' accessories and shoes at Mi Shoes on Railroad Ave.